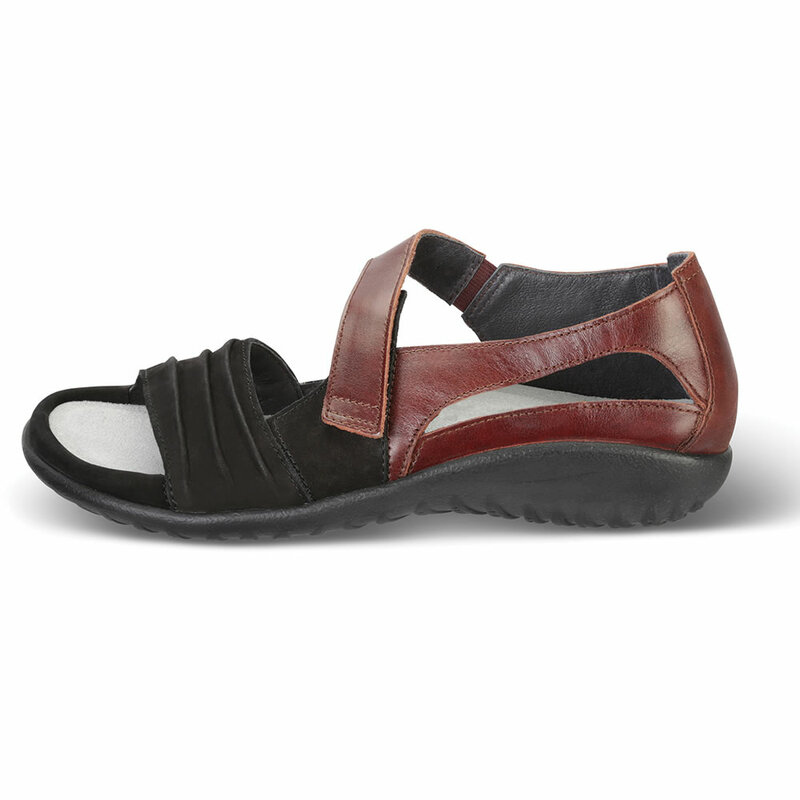 These are the shock-absorbing sandals with an anatomic cork and latex footbed that molds to the shape of the foot with each step. The heel is supported with a padded cup to alleviate fatigue and pain during daily activity. Hand-sewn stroble construction produces a strong and flexible shoe, with uppers made of high-quality Italian leathers. The polyurethane sole is lightweight, durable, and slip resistant. Made by Naot, an internationally renowned shoe company that has been crafting quality footwear since 1942. Imported. Black velvet nubuck/cinnamon leather. Women’s sizes 6-11. 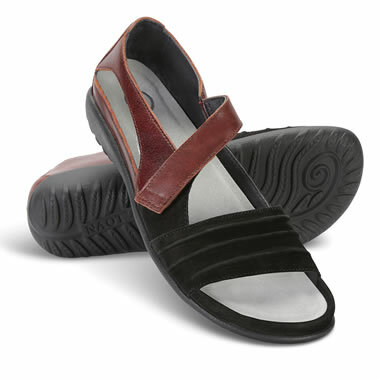 The Lady's Naot Sandal Shoes come with The Hammacher Schlemmer Lifetime Guarantee. Items that we sell are guaranteed for their normal life under standard non-commercial use.